welcome to found & foraged! if you haven't been here before, hi! 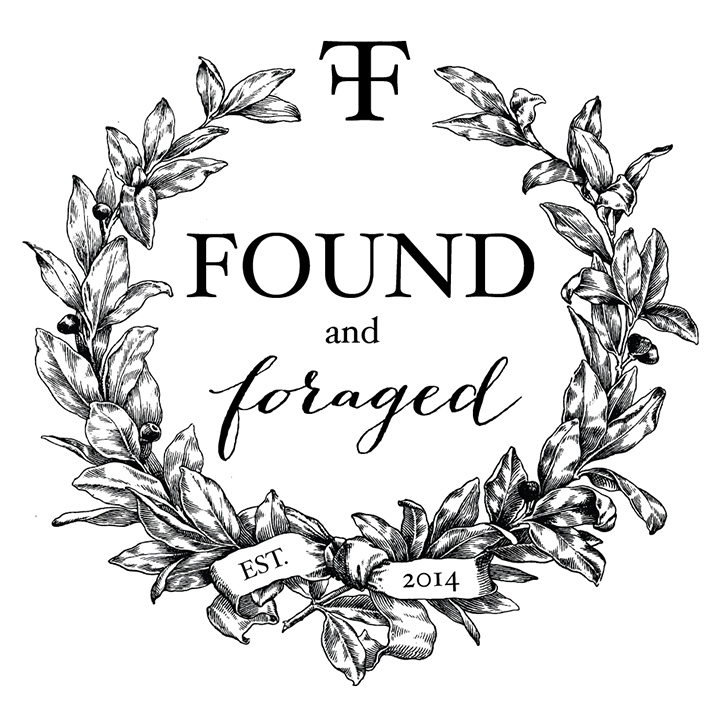 found & foraged is a weekly design challenge that i host with my buddies kyla and grace that gives us an opportunity to meet and celebrate other bloggers and creatives in our community. we are glad you're here! below you'll see some posts we've chosen to feature from among those linked up last week, and if you're a blogger there's a spot for you to share what you have been working on at the bottom. one of my goals as someone relatively new to the online world has been to make some connections and build a community with my fellow creatives. so i really appreciate you stopping by and being a part of found & foraged! even if you don't have a blog, there's still a place where you can join in and show off your found & foraged style. we host a hashtag challenge on instagram as well. tag any of your pictures #foundforaged and we regram our favorites. #foundforaged has become an amazingly fun part of IG and we have loved seeing it grow. i hope you'll find us there. we love how ashley from bigger than the three of us updated her dining area with a simple can of paint. 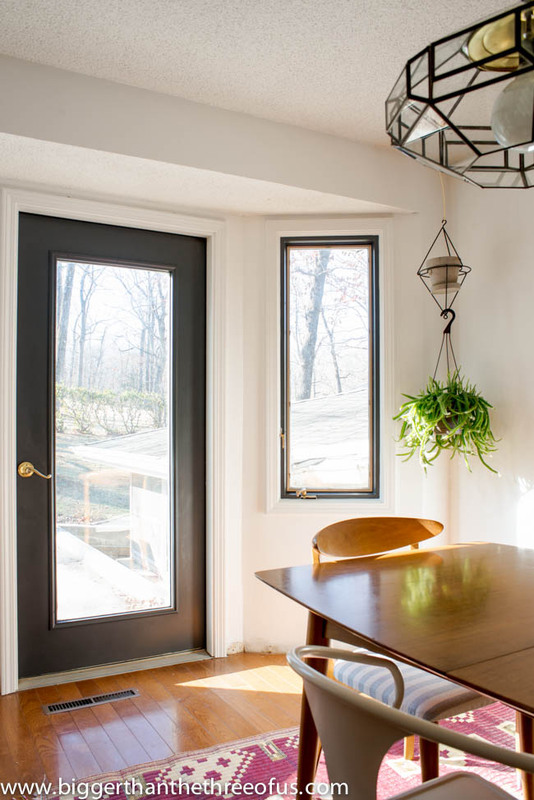 changing out the door & window trim from white to black gave her space an incredible upgrade that is modern and fresh, without taking a ton of time or money. awesome job, ashley! 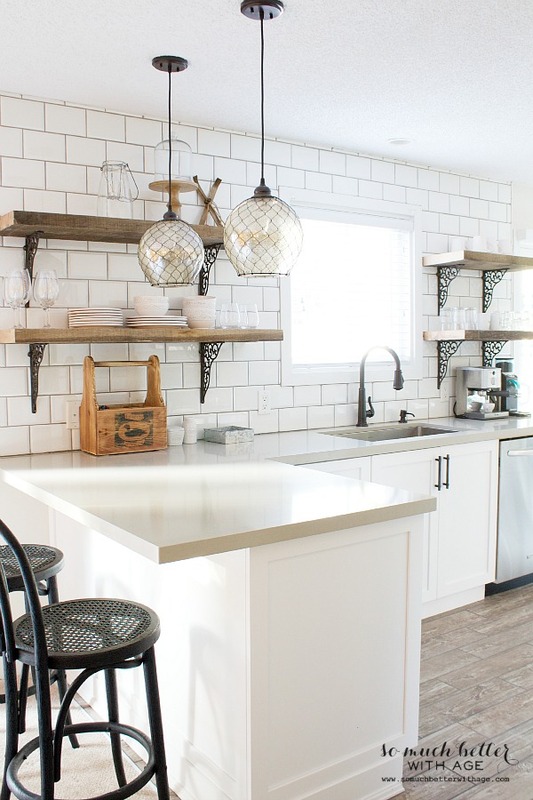 is there anything not to love about this kitchen from jamie at so much better with age? i daily dream about replacing my upper cabinets with open shelves on top of subway tile. such a pretty look. love it jamie! we're all pretty amazed with the black skinnies and vintage poncho that heather from thrift stories is rocking. she blogs about her vintage and thrift fashion finds, and i'm always in awe of how she pulls together outfits that are so current on such a tiny budget. she's proof that found & foraged design goes way beyond the four walls of our houses. isn't this look great? anyone hacking anthro is a friend of mine. therefore tanya from twelveOeight blog is my friend. 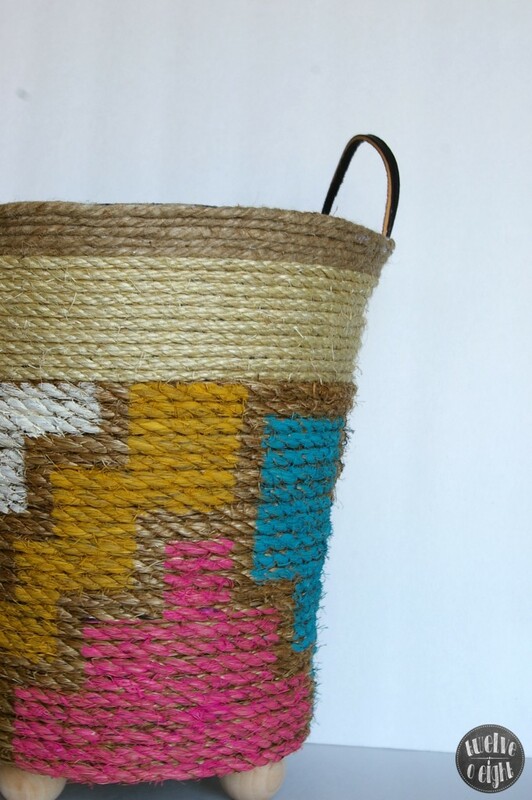 she takes a dollar store trashcan and turns it into a rope basket that would feel right at home in that grand store. quick, what else can i cover in rope right now?! 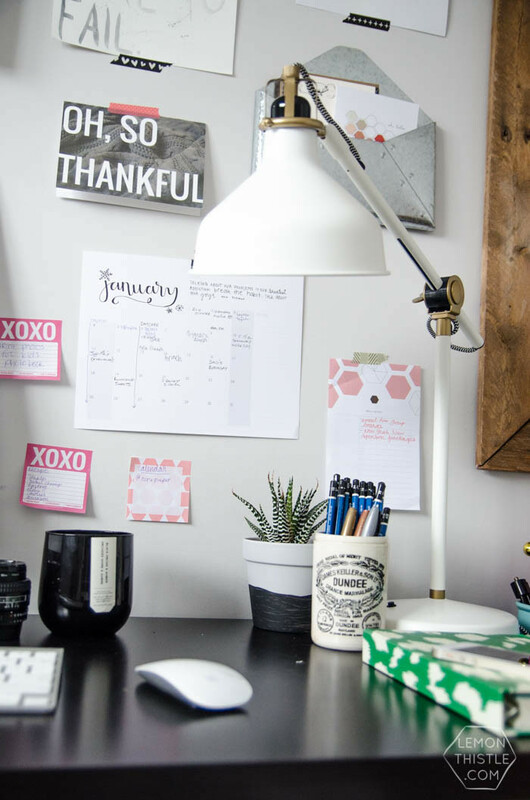 colleen from lemon thistle is making over her office and shared 9 practical tips for creating an inspiring workspace. her tips are great and space adorable, and she totally made my day when i spied my love you free printable on her wall! check out her post and play a little game of i-spy and see if you can spot it. i was tickled to pieces! how can i resist the chance to put eye candy like this shot of oscar de la renta on my blog? nicki from t-shirt & jeans has some lessons on creativity from the iconic designer which i found very insightful. i'm very inspired by how colour saturated life used scraps and paint to create artwork. don't these wood slats look like cool skis or something? this is exactly what found & foraged is all about- looking for the beauty in what's around you and looking past the present to the potential. great job, gilly! for my lovely blog friends, now it's your turn! link up using the blue button below. it is a treat to see what you are working on & thank you for sharing it at found & foraged. we've been loving getting to know more and more of you through this party!